Savi has 9 years of experience in the asset management industry, more than 6 years of which were in the private equity Industry. In his last role, he was an Associate Director at Tano Capital, a prominent Mumbai based private equity fund that manages more than USD 210 million worth of assets. He served as a Director on the Board of MSH Sarees that owns the popular ethnic wear brand 'Jashn'. Prior to Tano, he was with Frontline Ventures, another private equity fund. He has evaluated more than 500 investments in diverse industries in his 6 years in private equity. Apart from several unlisted investments, he has been involved in making marquee listed investments such as Astra Microwave, Shilpa Medicare, DCB Bank and Safari Industries. Prior to his private equity career, he worked in ICICI Prudential Life Insurance with their actuarial/investment team that managed more than INR 300 billion in equity and debt assets. Savi received a Bachelor’s degree in Industrial Engineering from IIT Kharagpur. He is also a CFA® charterholder. 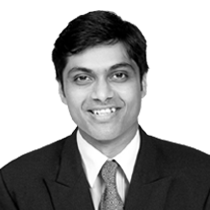 Amit has 8 years of investing experience across private equity and public markets. In his last role, he was a Vice-President at Hornbill Capital, a Mumbai based hedge fund. Hornbill is co-sponsored by Orchid Asia which manages US$ 3.0 billion of equity capital for Asia. 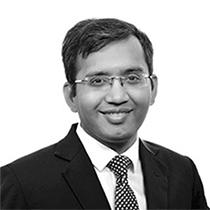 Prior to Hornbill, he has been part of the private equity investment team at IDFC Alternatives and Zephyr Peacock. At Zephyr Peacock, Amit was part of the investment team that completed transactions in the logistics, IT infrastructure services, pharmaceuticals, clean-tech and financial distribution industry. He has served on the Board of 20 Cube Logistics as an Alternate Director and was part of the team that launched Sri Lanka’s first private equity fund. Amit has a Post-Graduate Diploma in Management from IIM Bangalore and a B.Tech in Computer Science and Engineering from IIT Kharagpur. He is also a CFA® charterholder. 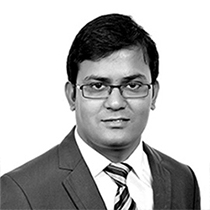 Bhavit has 8 years of experience on both the Buy and Sell side in the asset management industry. He has been with 2Point2 Capital since inception and heads Operations. He is responsible for client on-boarding, client reporting, regulatory compliance and trade execution. He has earlier worked with leading broking firms. In his last role, he was a Wealth Manager at Globe Capital for more than 2 years. Prior to Globe Capital, he was with India Infoline for 3 years, another broking firm. He has done his Masters in Financial Management from Mumbai University. He is certified in Currency Derivatives and Capital Market Dealer Module from National Institute of Securities Market (NISM). He is also appearing for his CFA exams.